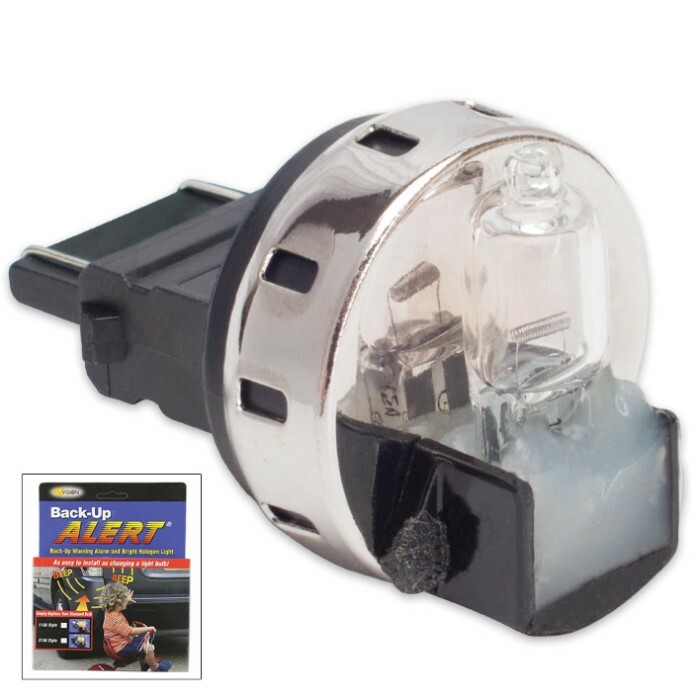 Vehicle Back-Up Alert - 3156 Bulb Model | BUDK.com - Knives & Swords At The Lowest Prices! You can’t avoid what you can’t see! 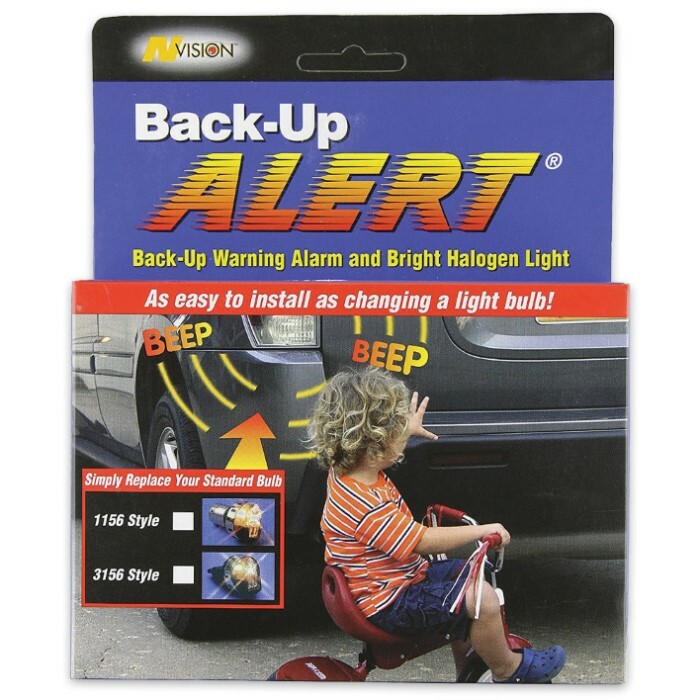 So, the Back-Up Alert warns others with a clear beeping sound when your vehicle is in reverse. This is the world’s only combination back-up warning alarm and bright halogen light. It’s as easy to install as changing a light bulb. Simply replace your standard 3156 bulb in one of your back-up lights. This warning system is perfect for cars, vans, light trucks and RVs.